Those who work for and serve the city and county of Santa Cruz are being impacted by the housing crisis, according to UC Santa Cruz researchers who surveyed nearly 500 people in the latest installment of an ongoing community-based effort to document how people are coping with rising costs and limited availability. 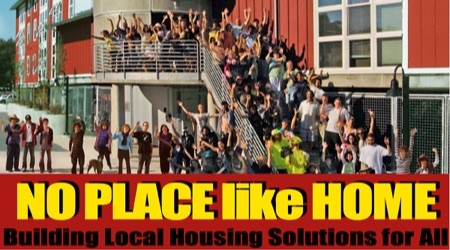 The results of the study, "No Place Like Home," will be presented on Thursday, October 18, as part of "No Place Like Home: Building Local Housing Solutions for All," a free community-wide conversation that begins at 7 p.m. in the Santa Cruz Civic Auditorium. The event will focus on policy proposals, including rent control and just-cause eviction, and feature a panel discussion with local and regional housing experts. Spanish translation will be available and refreshments will be provided. "We want to share the findings from our latest study, which looks at the experiences of both renters and homeowners who directly serve our community," said Steve McKay, associate professor of sociology, who co-leads No Place Like Home with Sociology Professor Miriam Greenberg. Previous surveys documented the impact on renters and the unequal burdens experienced by county residents. In this installment, McKay and Greenberg collaborated with Service Employee International Union Local 521, whose members include city and county employees, as well as employees of two of the county's largest nonprofits: Community Bridges and Salud Para la Gente. "We talked to a cross section of the people who make Santa Cruz run—from bus drivers and social workers to dental assistants and rangers," said McKay. In addition to nearly 500 surveys, they conducted 30 in-depth interviews in an attempt to document impacts as well as opinions regarding a range of proposed policy solutions. 46 percent of those surveyed said they experienced difficulties paying rent or mortgage in the last five years, and half of those said they had to forgo buying food or essential medicines in order to make their housing payment. About 60 percent of those surveyed said they had difficulty finding housing, and 95 percent said the difficulty was affordability. More than 60 percent of renters and half of the homeowners surveyed experienced "housing cost burden," which means they spend more than 30 percent of household income on housing. Respondents were asked to share their views on a range of proposals, including rent control, strategies for building affordable housing and prioritizing who is eligible for it, the creation of workforce housing, and more. "No Place Like Home is a student-engaged research project that is becoming a resource for the community," said McKay, noting that the project website will be updated Oct. 18 to highlight information about a number of policy proposals regarding affordable housing and tenant protection on the ballot in November. In addition, a wide range of community groups will be present, and representatives will be available to share information about issues such as affordable and alternative housing, tenant rights and protection, emergency rental assistance, homelessness, voter registration, and housing justice. The event is being cosponsored by the UC Santa Cruz Center for Labor Studies, the Sociology Department, and the Division of Social Sciences; SEIU Local 521; Community Bridges; Community Action Board; and California Rural Legal Assistance.